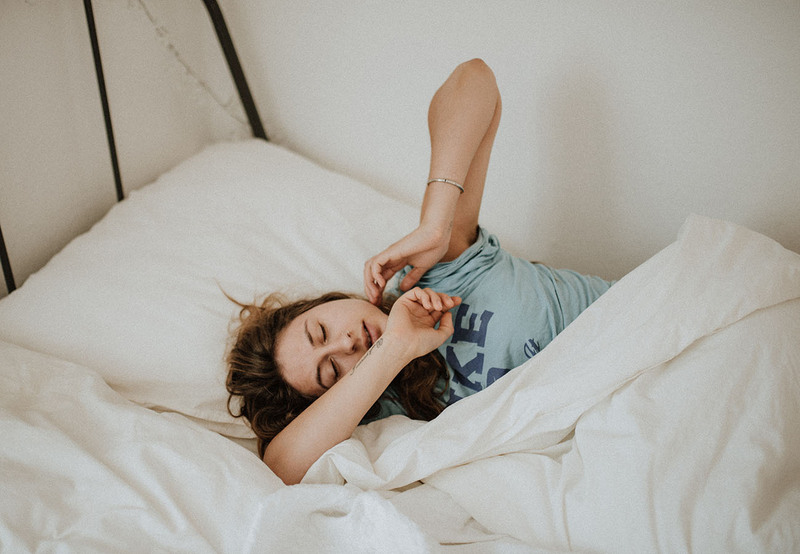 Home Lifestyle Hacks for Living a Happy Life Sleep Strategies Worth Trying in 2019: Simple Tips to Own Bedtime! Sleep Strategies Worth Trying in 2019: Simple Tips to Own Bedtime! If you struggle to fall asleep and stay asleep at night, you’re not alone. Every year, 1 in 4 adults in the US develops insomnia. We all know how awful you feel the next day when you get little or poor sleep, but there are also short-term and long-term health impacts of poor sleep. A lack of sleep results in a more inferior quality of life, diminished mental capacity, an increased risk of diabetes, weight gain, and a weakened immune system, among others. The possibility of any of those should be enough for you to work on improving your sleep. Use these four sleep strategies to help improve your sleep quality and length and reap the rewards of a good night’s sleep. Better sleep will help you feel and look better in the short term and will also positively impact your health in the long term. The good news about improving your sleep is that you can start right away. Make changes today to see better sleep tonight, and be consistent. These four strategies are relatively easy for you to implement right away. Natural sunlight or bright light during the day helps regulate your circadian rhythm, which is your body’s internal clock that cycles between sleepiness and alertness throughout the day. In the evening, you should limit your exposure to blue light and external light. Blue light can make your brain think that it’s still daytime, impacting your ability to fall asleep. TVs, cell phones and tablets, and computers emit the bluest light. Try to shut these devices down an hour or two before you head to bed. Exercise has many health benefits, and sleep is no exception. Exercising during the day helps you to feel less sleepy during the daytime and more tired at night. The more high impact your exercise, the better your sleep. Try to finish any exercise at least 3 hours before bedtime. Because exercise speeds up your metabolism and stimulates hormones, such as cortisol, it’s difficult to fall asleep if you exercise too close to bedtime. It’s tempting to stay up late and sleep in on the weekends, but all that does is disrupt your circadian rhythm. This makes it even harder to wake up and go to bed early during the week. Try to go to bed and wake at similar times every day. This helps to regulate your circadian rhythm, and you might even get to a point where your body naturally wakes on time, without an alarm clock. Your bedroom can have a significant impact on your sleep routine. To optimize sleep, get rid of external noise and light. Make sure you have the right sheets. Keep it quiet and cool. The optimal sleeping temperature is 70 degrees. Help keep yourself cool at night with a ceiling fan or bed fan. It’s much harder to fall asleep and stay asleep if you’re too hot. It is possible to improve your sleep with a strong routine and consistency and to implement these sleep strategies. If you are suffering from difficulty falling asleep and staying asleep, don’t wait another day to try to get some better sleep. Start tonight, and you’ll thank yourself later. For more health and lifestyle tips to feel your best, check out some of our other blog posts.